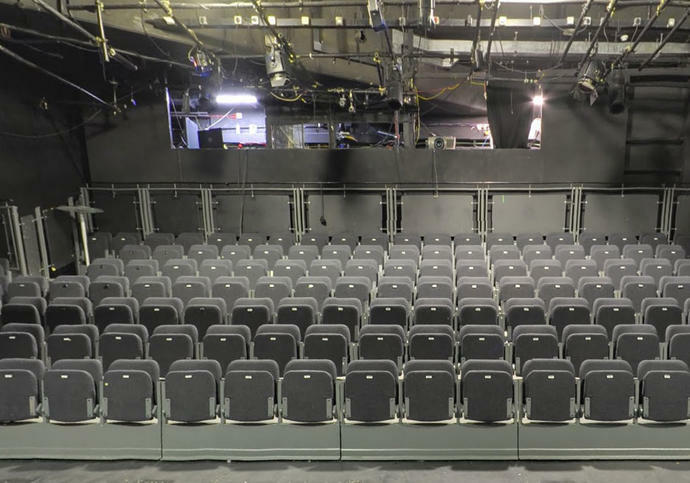 Working directly for city of London, Push The Button were contracted to fully refurbish production lighting at the Pit Theatre. This was a historic job for Push The Button’s Managing Director, Nick Ewins, as he worked with the Royal Shakespeare Company 25 years earlier on the first design for this space. The project finally came to fruition in 2016 with Push The Button installing a complex network of Internally Wired Bars and data outlets, together with an ETC Mosaic to control the minimum light emergency lighting system. The installed solution gave the venue technicians easy configuration of lighting over the many multiples of possible seating arrangements.